Available for pre-order beginning January 24, Meet My Valentine is available on Amazon, GooglePlay, iTunes, VHX.TV, Vimeo and VUDU. Looking for a movie to watch with your sweetheart this Valentine's Day? Or, are you planning a fun Girls Night In and need a movie to watch, while you sip wine and catch up? 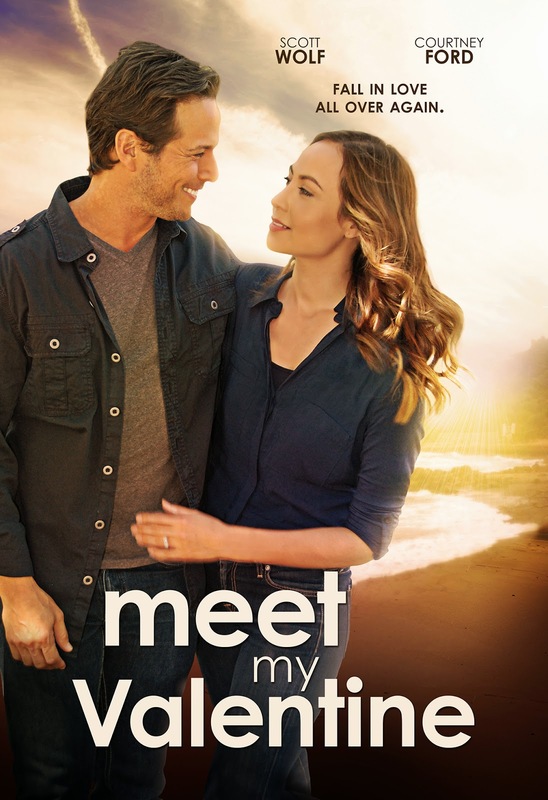 Have I got the movie for you..."Meet My Valentine," which stars Scott Wolf (AKA - Bailey from Party of Five). "Love rings eternal, even as it’s rekindled and rediscovered in Meet My Valentine, available for digital download February 7th from MarVista Digital Entertainment. Scott Wolf (“Party of Five,” “V”) and Courtney Ford (“True Blood,” “Murder in the First”) star as an indifferent husband-and-wife whose marriage has fallen into a pattern of routine where intimate connection is lacking. But when Tom is diagnosed with terminal cancer, he secretly embarks on a mission to find a replacement husband for Valentine and a father for their eight year-old daughter Phoebe. Wanting to ensure the perfect match, he sets up an online-dating profile for Valentine, which leads him to rediscovering who she is and why he fell in love with her. Along this course, he learns the full value of marriage, family and friendship. Meet My Valentine also stars Brady Smith (“Happy Land,” “Parks and Recreation”), who provided the initial story, Kristen Miller (“She Spies”) and rising comic Jay Black, who serves as co-writer along with director Brian Herzlinger (My Date With Drew)." I have got to see this one I love Scott Wolf.